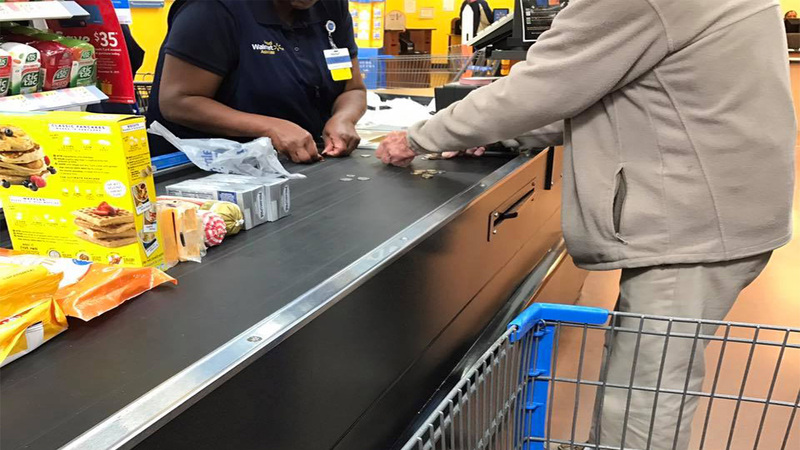 CLARKSDALE, Mississippi -- A sweet photo of a woman helping an older man count change is taking Facebook by storm. "This beautiful cashier takes his hands and dumps all the change on the counter and says, "This is not a problem, honey. We will do this together,'' the post continued. After the transaction was complete, Bowlin said she turned to the cashier and said, "Thank you for being so patient with him."